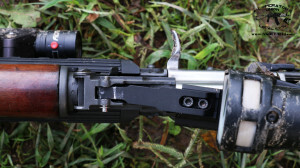 TWS Dog Leg Gen2 is popular option on US market to mount optics on AK rifles. 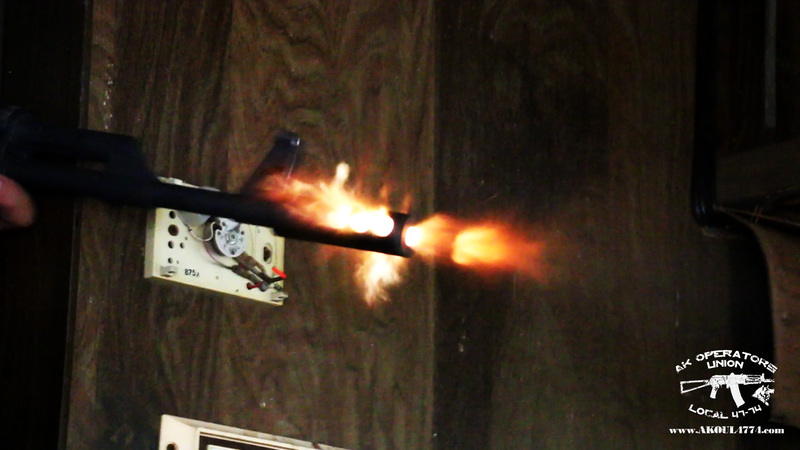 However, after our tests, we can’t recommend Texas Weapons System Dog Leg Gen 2 to you guys. 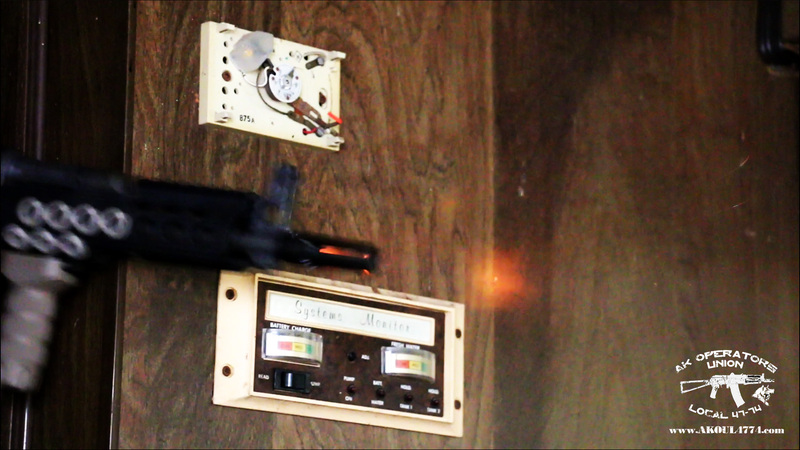 TWS railed dust cover suffered catastrophic malfunction during our test. Because of this, weapon became unusable. 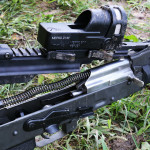 When AK rifle can operate without dust cover, part of the requirement to install Dog Leg, is removal of original rear sight. 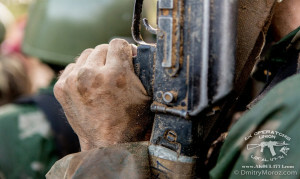 In our situation, when the TWS system could be removed to continue to shoot, we would have no iron sights to rely on…hence our rifle became unserviceable at this point. 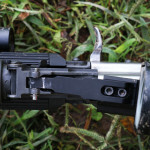 In my opinion, all AK accessories, should easily survive drop from at least 6 feet on soft ground without taking any damage…It is my recommendation that all future generations of Dog Leg should have totally different / reinforced hinge system. It is beyond me, why some of the Alfa team members could be seen using this product…However, I do think that Dog Leg has a place to be used as range accessory, when you don’t need that much durability and environmental conditions are not a factor. Please note that this is only my personal opinion. I also want to point out, that originally, Dima was clearly against using Dog Leg, because of his own experiences with it. However, I wanted to give it an honest and unbiased chance. I also want to give kudos to TWS for cooperating with us and accepting our challenge. I honestly hope to see and test Gen 3 at some point. Russian SRVV company continues to prove her commitment to US market. They have created special version of their popular 24mm Jet Brake with 14-1LH thread, based on US customers feedback. Recently, we had a chance to take their brake for some testing. These brakes could be acquired in USA from Circle10AK. At the same moment, we have received 2 flash suppressors from Echo93. 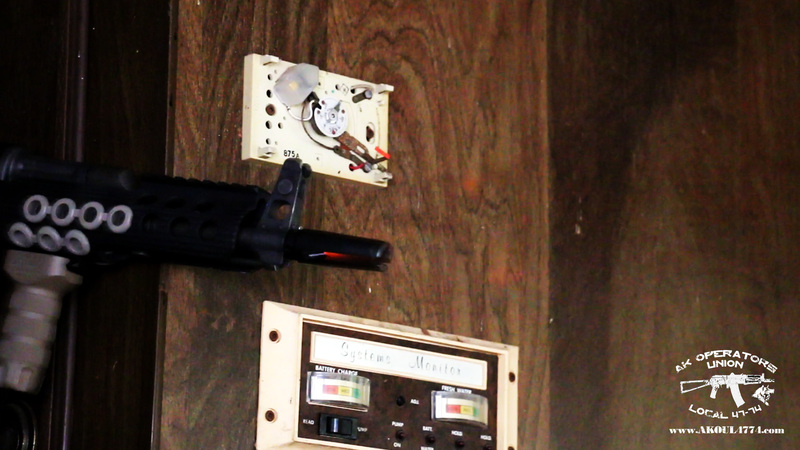 Their AKML/C and AK3P, proved to be a good companion for SRVV latest product. 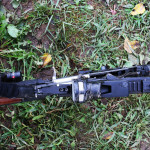 This is AK47 (AKM) Muzzle Devices Review! 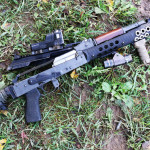 AK 47 (AKM) / AK 74 – railed dust cover from TWS Dog Leg Gen II is loaded with some advance features. 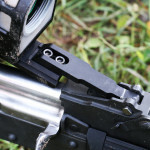 It comes with “cam action” release button which converts recoil spring force to 3 times cover clamping force for consistent mount. Also, their unique “spring panel” was designed to draw cover to left side of rear trunnion – inward bent tab is adjustable for tension. Finally, locking mechanism in rear, tightly secures cover to the rear trunnion and it restrains motion in 3 axis for consistent “zero”. All this sounds great in the theory, but how was “Dog Leg: performing during our review? The Russian Special Forces operators must survive one of the world’s most difficult competitions to earn the right to wear the crimson beret (Krapoviy Beret), the symbol of their status. 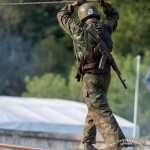 The competition for the crimson beret usually consists of three steps: The first is intended to demonstrate physical fitness: a rugged five-mile cross-country race including a final 100-yard sprint. Most of the race course involves overcoming water obstacles – including chest-high swamps of rotting, stagnant water – or forced crossing of a “contaminated” area wearing a gas mask. The cross-country course is full of special obstacles such as minefields, smoke-filled areas and fires. 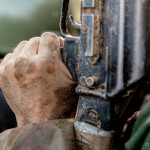 Periodically, a soldier has to crawl under or run through live small-arms fire. Furthermore, a special “psychological manipulation” group is deployed throughout the course. These “psychos” run alongside the soldiers and shout at them, splash them with mud and water and throw smoke-puff charges under their feet. 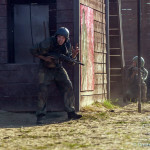 After completing this part of the course, the soldier has to run a sprint: 100 yards, four times. Then come chin-ups and acrobatics. The second stage begins immediately after the first. 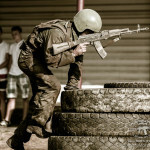 Each contestant must show superb skills in firing the RPG-7 anti-tank grenade launcher, the AGS-17 automatic grenade launcher, PK or PKT machine guns, the AK74M automatic, Makarov or Stechkin pistols and the SVD sniper rifle. The third stage lasts only 12 minutes, but the soldiers often call it “12 minutes of hell.” The 12 minutes are divided into four three-minute periods. Each of the four periods is a round of hand-to-hand combat with a new opponent who already wears the crimson beret. 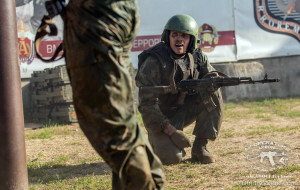 Those who pass all the stages are awarded the crimson beret. AK Operators Union – Episode 4! After long wait, finally, AK Operators Union – Episode 4 is Live! In today’s episode, we talk about: Zastava NPAP M70 AK, Century Arms C39 AK47 clone, Russian Molot VEPR 12, AK74 clone Project “Alfa” – all mixed with “Drive by Shootings”, explosions, torture tests and more!! !